September 30, 2015 - IUOMA memberss will doubtless remember this compelling work by Monsenhor enVide neFelibata that circulated in the summer. The piece understandably received a good deal of attention at that time. 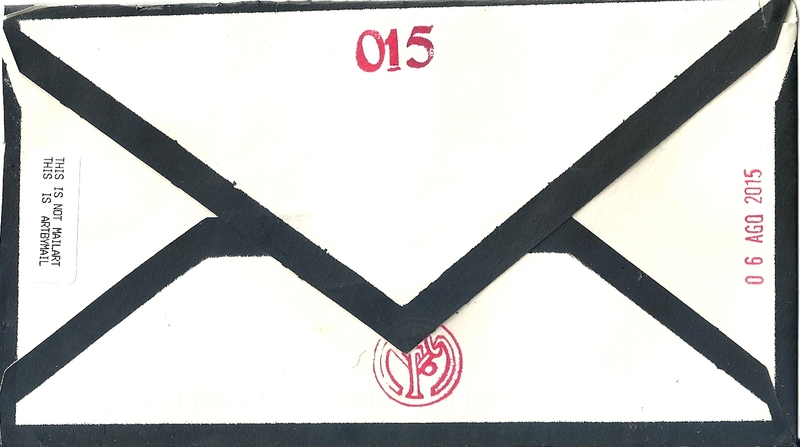 I apologize for the lateness of this posting, but I find the work so important and interesting that I want to add to the documentation and register the fact that envelope #015 resides in my archives. Through this piece, Monsenhor enVide neFelibata has added his own distinctive viewpoint to the ongoing global conversation about the history and future of mail art, especially relating to the variety associated with Ray Johnson. In fact, if I recall correctly, discussions on the subject were occurring (again) at IUOMA-Ning around the time this piece appeared in the network. The position of Monsenhor enVide neFelibata is clearly presented in the work, so I will try to limit the extent of my commentary so that he might have the stage and not have to share it. 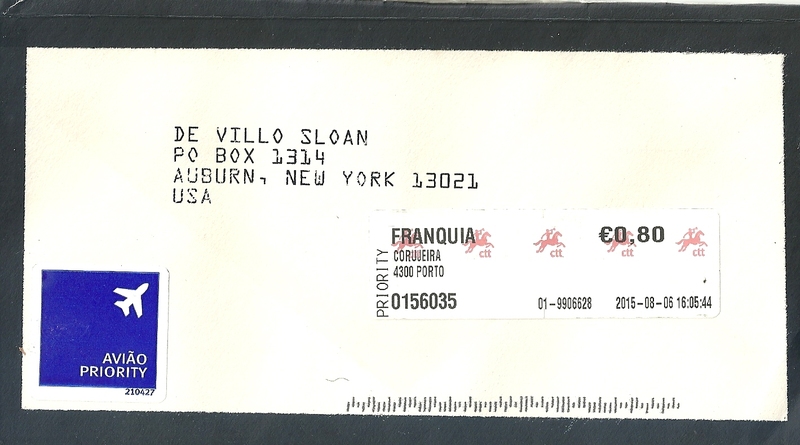 For me, his position reflects the perspective of what I call (without derision, BTW) Mail Art NouveauX. To some extent (and it is hard and even dangerous to speculate about these things ultimately), the talented emerging mail artists have a tendency to want to define themselves differently in comparison to the older, pre-digital network and its avant leanings. (Moan Lisa would be one of the numerous exceptions). Ray Johnson has been lionized to the status of mythic figure in some quarters and soundly rejected as a f(l)ake with an overblown reputation in others. Thus we find the folk art designation often used to describe the work of newer generations. 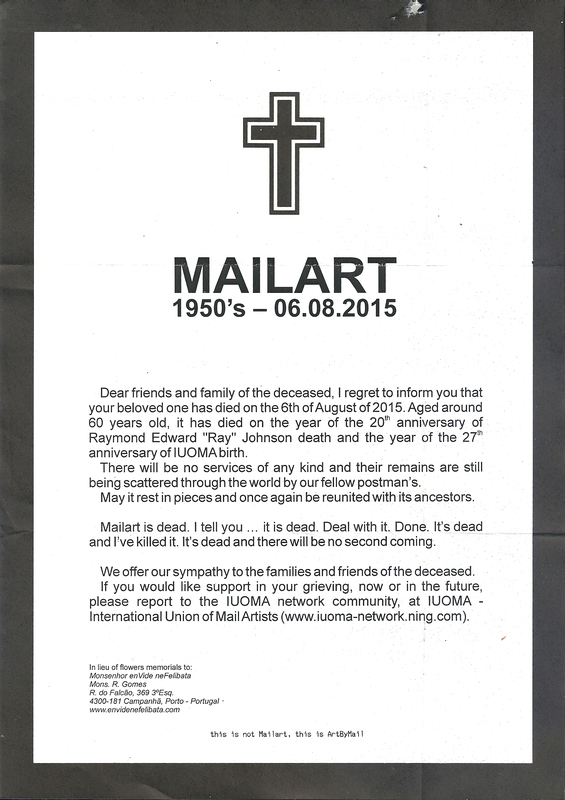 Mail Art Nouveaux favors “fine art” over anti-art. Cultural evolution is a complex process of continuity and disruption. I do not view these discussions in the network as something disharmonious. They are, in fact, healthy. Note “THIS IS NOT MAIL ART/THIS IS ARTBYMAIL.” I believe this is the key concept in the position of Monsenhor enVide neFelibata or at least the position of this specific work. Deepest thanks to Monsenhor enVide neFelibata for sending this work, which I am sure will be considered an artbymail classic!